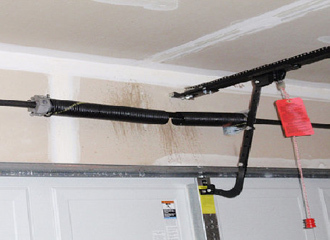 Have you found out, your garage door is not working properly? There can be many reasons behind a malfunctioning garage door, such as the springs can be broken, the opener may not be working properly, the track may not be aligned properly, and more. Get the condition under control in no time with the qualified garage door repair service from Mobile Garage Door Repairs. Our team of professional garage door expert has years of experience and skills for garage door repair. We could act fast and offer excellent service. Over time the goal of our service has remained the same, which is serving our clients with reputation. We can offer garage door repair for both residential and commercial properties. We have a team of highly skilled and proficient experts who would provide an instant solution after proper examining and analyze. Trust the efficiency of ‘Mobile Garage Door Repairs’ for making the garage door work perfectly and conveniently. The next time, you get into a difficult situation, directly approach us as we bring the best solution. 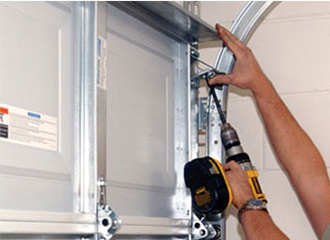 Why hire the service of Mobile Garage Door Repairs? Are you looking for fast residential garage door repair company in near you? If yes, then we are the best place for you. Our professionals are well trained and equipped to offer you same day repair and services. You are browsing the right website if you are looking for commercial garage door repair services the same day. We have the experienced and equipped team of technicians who are able to repair or install garage doors the same day. Garage doors are something that we take for granted – they open, they close, and they always seem to work no matter. What do we do when our garage door bites the dust? What about taking five minutes to open or close, with loud screeching that all of your neighbors can hear? When the worst happens to your garage door, it’s time to call in the Garage door repair professionals near me– Mobile Garage Door Repairs. The thing to remember about garage doors is that they work well when all of their parts are properly maintained. If any one of these parts should have trouble or fail, then the whole system can crash, grinding to a halt with a loud screeching sound that everyone on your street can hear. This is where inspection comes in – garage door professionals can make sure that there is no periodic maintenance that needs to be done, and that everything is functioning as it should. No matter what kind of services you need or don’t need, don’t let your garage door fall into disrepair. Call Mobile Garage Door Repairs today and schedule someone to come inspect and tune-up your garage door, so you’re not stuck outside waiting for it to open while all of your neighbors suffer through the loud noises it can make. For garage door repair in the Twin Cities MN, look for the best – look for Mobile Garage Door Repairs.